Nestled on the banks of Honeysuckle Creek (formerly Violet Creek) at the spot where Surveyor-General Major Mitchell and his party stopped in 1836 on their expedition to trace the Darling River to its junction with the Murray, Violet Town is a small community with a big heart. I have had the very great pleasure of being introduced to Violet Town through the outstanding work of Sheila Burnell and the Violet Town RSL in commemorating locals who served in the Great War. I first spoke to Sheila at the beginning of December 2015, after being put in touch by Sheila’s daughter Wendy. They had come across the RSL Virtual War Memorial, and saw the site as an ideal way to preserve the stories that Sheila and others had spent painstaking hours recovering. From our perspective too, it was a perfect match. 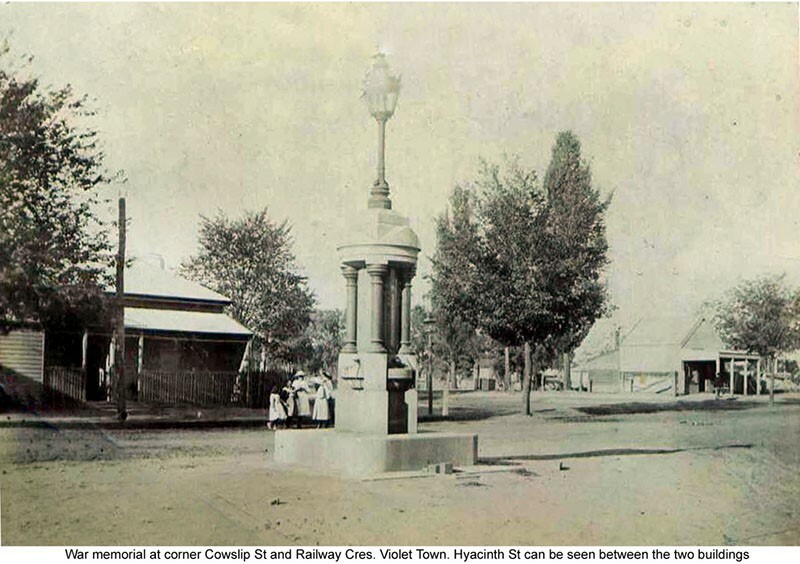 From its effort to research its service men and women through to the care that is extended towards the Avenue of Honour along Cowslip Street, it is clear that commemoration is something the people of Violet Town hold dear, and it has been the RSL Virtual War Memorial’s privilege to assist with ensuring the stories of those who have served are both preserved and shared. 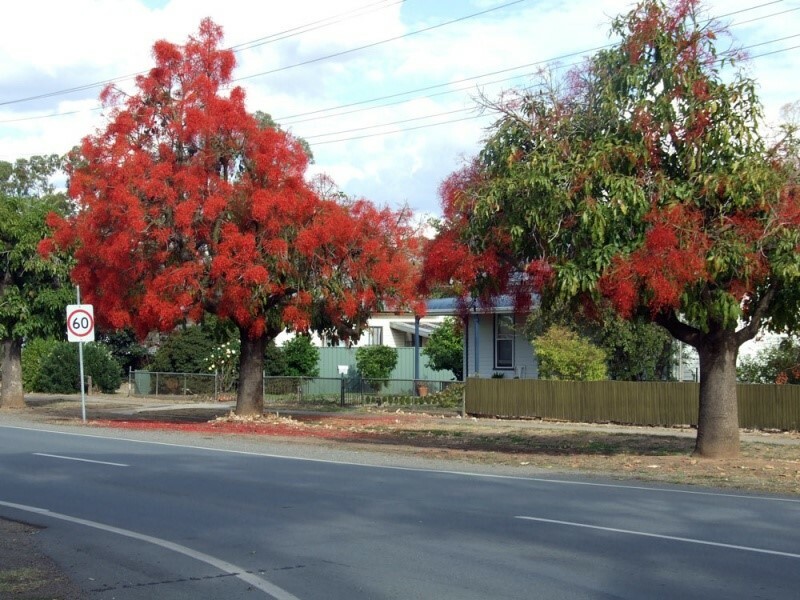 Illawarra flame trees in the Avenue of Honour. Violet Town Photograph Gallery. Despite what sounded like a very impressive 90th birthday celebration in January, of which I confess I was quite envious, Sheila, with some assistance from Wendy, pressed on tirelessly uncovering some wonderful stories, not just of individuals but of families. Of the eighty-one men and women who went to war from Violet Town, forty-eight had brothers, sisters or cousins serving. It was in the midst of her birthday celebrations that Sheila introduced the RSL Virtual War Memorial team to the Mackay family. It was a large family, with ten children in all, although the eldest boy had died in 1906 at the age of twenty. The youngest of the family to serve and the first to enlist was William Gordon Mackay, who enlisted in January 1915 and served with the 8th Light Horse Regiment from June. Gordon went on to serve Australia again in the Second World War. 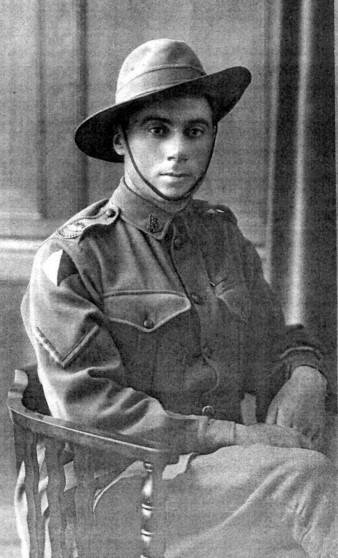 His older brother, Albert Edgar enlisted in August of 1915 with the 13th Light Horse Regiment. 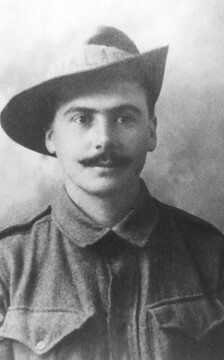 Bert went on to be awarded a Distinguished Conduct Medal in May 1917 for locating and neutralising a sniper post under heavy fire. However, it was not only the boys of the Mackay family determined to serve Australia during the Great War. 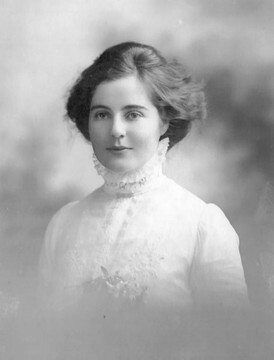 Both trained nurses, Frances Lillian enlisted in June 1916 at the age of 28, while her sister, Maude Mary, younger by two years, enlisted in December of the same year. 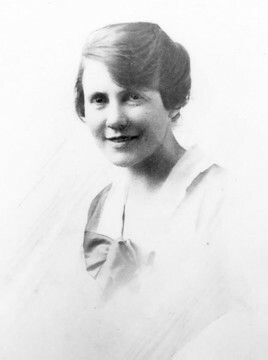 Lilian and Maude served for the remainder of the conflict, establishing a private nursing service together on their return to Australia. Lilian, in particular, dedicated herself to nursing, finally retiring at the age of eighty-five. In Violet Town, the dedicated members of the community, from the beginning of the twentieth century through to the present day have ensured their history and stories will not be lost to future generations. From those individuals who worked to erect the Boer War memorial in Cowslip street in 1901, to people like Sheila and the Violet Town RSL who continue to preserve the stories of those who have served and to support those who return, the community of Violet Town has demonstrated that at the core of commemorative activities and the town’s history, it is about the people. To read a name from an honour roll is one thing, to understand the people, places and experiences that shaped the person behind the name is another thing entirely. For us here at the RSL Virtual War Memorial, this is what the phrase “Lest We Forget” should be about; the individual people, families and communities who gave up so much, and who were irrevocably changed by conflict. Please take a moment to visit the impressive collection of images in the Violet Town Photo Gallery, and the Violet Town page on the RSL Virtual War Memorial, and follow the links to find out more about the town and the people who have made it a very special place.